It's 9 a.m. and you're facing a dilemma: should I have a second cup of coffee? Caffeine spurs the central nervous system, making a person feel more awake, alert, and prepared to withstand the barrage of work meetings. It's why it's the most commonly used stimulant in the world. Sixty-four percent of American adults said they had one cup of coffee the previous day in 2018, up from 62 percent in 2017, according to a survey commissioned by the National Coffee Association. Deciding the midmorning question of how much coffee will keep you concentrated-versus spinning into a jitterbug-has largely remained a flawed process. 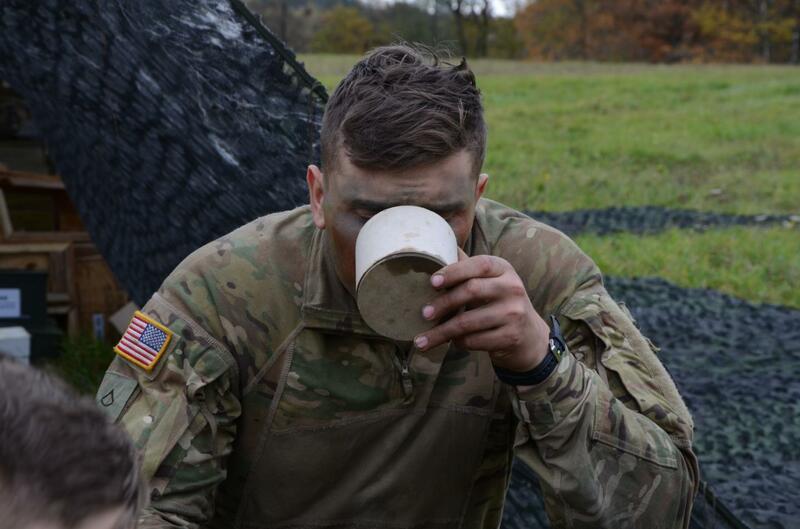 The U.S. Army, in an effort to keep staff and soldiers awake during long nights and guard shifts, commissioned research to determine the exact, most efficient use of caffeine. On Monday, researchers announced an automated optimization algorithm to identify the strongest caffeine-dosing strategies to "maximize alertness" when you're feeling drowsy. "We found that by using our algorithm, which determines when and how much caffeine a subject should consume, we can improve alertness by up to 64%, while consuming the same total amount of caffeine," said Jaques Reifman, PhD, a senior research scientist and director at the U.S. Army Medical Research and Materiel Command. "Alternatively, a subject can reduce caffeine consumption by up to 65% and still achieve equivalent improvements in alertness." The recent study was published in the peer-reviewed Journal of Sleep Research. The study used a validated mathematical model, which predicts the effects of sleep loss and caffeine on psychomotor vigilance task (PVT) performance and combined it with a computationally efficient optimization algorithm to determine when and how much caffeine to consume to safely maximize alertness during sleep loss. The algorithm takes a user-provided sleep/wake schedule and maximum allowed caffeine as inputs and provides a caffeine-dosing strategy as the output. Soldiers in training could be tested using the study's methods, and the Army will likely license the technology to a business for development of new features and a commercially-available app. That means it could be adapted for use by airlines and bus companies as a safety tool. TechLink, the Department of Defense's go-to broker for invention licenses, is already helping companies access a more limited mobile app called 2B-Alert. "Thanks to the study we're seeing a spike in interest," said Quinton King, the senior technology manager at TechLink facilitating 2B-Alert's licensing. "If businesses are interested in developing the app or integrating it into other products, then they should call now." Contact Quinton King at [email protected] or 406-994-7795.